MANILA, Philippines — The head of a Philippine online news site that has been critical of President Rodrigo Duterte was arrested Friday for the second time in two months, this time over a ban on foreign ownership of news media. 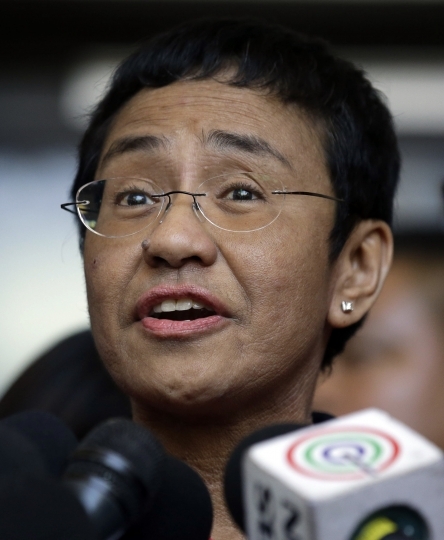 Police served an arrest warrant to Rappler Inc. CEO and executive editor Maria Ressa after she arrived at Manila's airport, and she later posted bail at a regional trial court. Ressa's co-defendants had posted bail for the new charge earlier in the week. 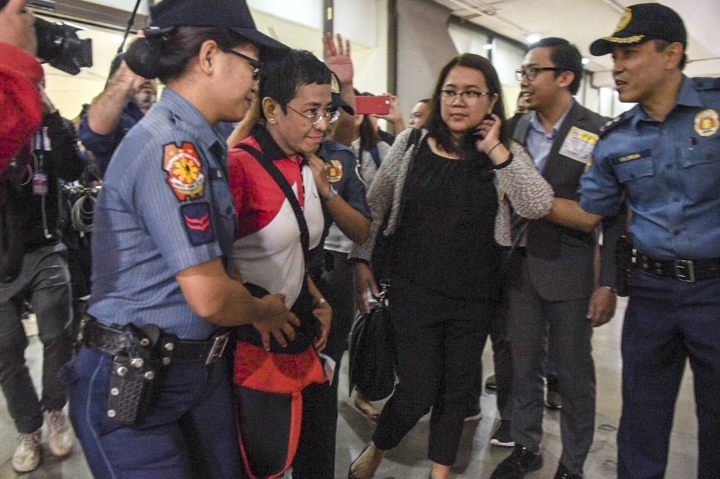 Ressa, who was one of Time magazine's Persons of the Year last year, was returning from a trip to the U.S. after securing a travel bond allowing her to leave the country while other criminal cases against her are pending. 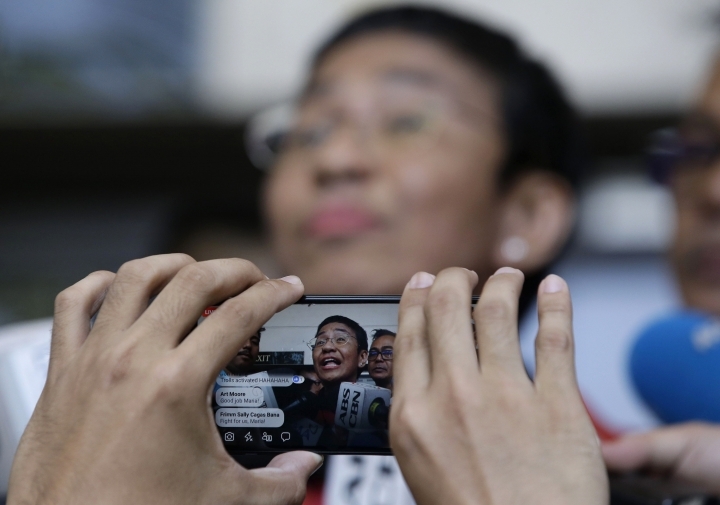 "Every action takes us farther into a descent into tyranny," Ressa told reporters outside the court in suburban Pasig city. "This is the weaponization of the law." 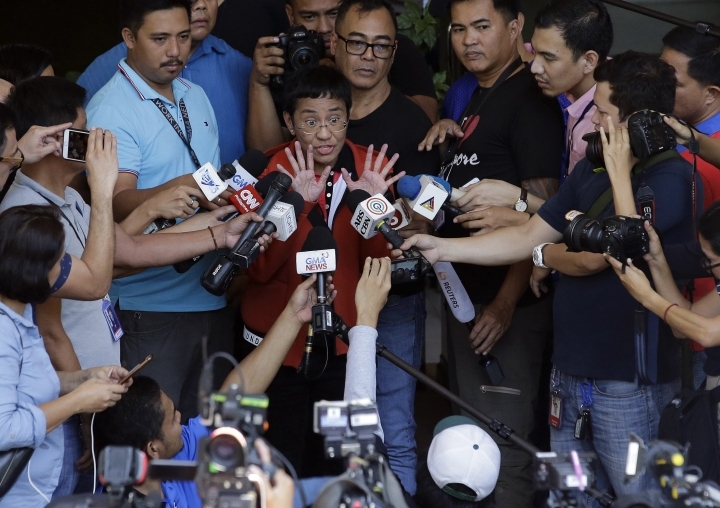 The Duterte administration has denied her cases are a press freedom issue, saying she and Rappler have breached laws and should answer before the judicial system like other violators. The charges stem from a complaint by the National Bureau of Investigation that Rappler allowed a foreign investor, U.S.-based Omidyar Network, to inject funds in the media organization. The Philippine Constitution bans foreign ownership of news media, but Rappler has argued that it did not grant Omidyar the power to control or influence its news operations. The country's Securities and Exchange Commission has revoked the site's license over what it ruled was a breach of the ban on foreign ownership and control of media outlets. 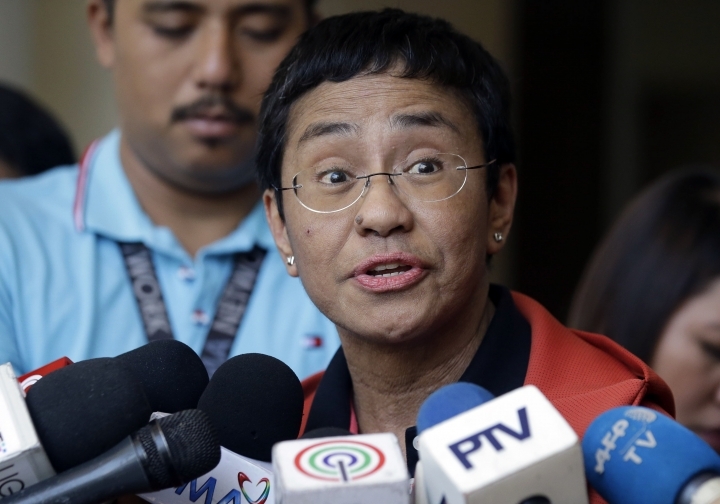 Ressa is facing separate complaints for allegedly violating tax laws in connection with the foreign funds that Rappler received. Omidyar has since donated its investment in Rappler to its key editors and staff, so an appeals court has ordered the SEC to examine if that warrants a reassessment of the license revocation. Omidyar, established by eBay founder Pierre Omidyar, calls itself a "philanthropic investment firm" which supports entrepreneurs and their visionary ideas to create opportunities for people to improve their lives and communities. Rappler is one of several local and international news agencies deemed critical of Duterte's policies. Since taking office in 2016, Duterte has openly lambasted journalists who write unfavorable stories about him. He has particularly bristled at critical coverage of his anti-drug campaign, which has left thousands of mostly poor suspects dead and drawn international condemnation. Ressa was arrested last month and freed on bail in a libel complaint filed by a businessman who accused Rappler of linking him to illegal drugs, human trafficking and murder in a report without getting his side.